The further adventures of Eragon and his dragon Saphira as they continue to aid the Varden in the struggle against the evil king, Galbatorix. Danny Dragonbreath and his friends try to help the senior reptiles of Sunny Acres find a lost item. 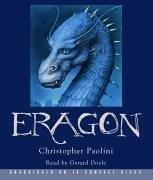 In ancient Egypt an unlucky young man meets a wealthy dragon and together they find dangerous but exciting adventure. Young Prince Rashko, frequently frustrated with his family which he has come to think of as a pack of fools, learns they are not as witless as he thought when his parents disappear leaving him to manage the castle and kingdom. Winnie is challenged to adapt to a new school for girls where teaching is anything but ordinary and where the eclectic student body includes magicals as well as humans, and while Winnie uses her wits to find her own way, crusty dragon Miss Drake is secretly trying to discover and foil a new plot by Winnie&apos;s grandfather to gain custody of her. When Suki the salamander--the new foreign exchange student--is being stalked by ninja frogs, Danny, Wendell the iguana, and Suki travel to Great-grandfather Dragonbreath&apos;s home in mythical Japan to find a solution for the problem. When Danny Dragonbreath&apos;s best friend Wendell the iguana is bitten by one of the hot dogs from his school lunch, he begins to turn into a were-wiener. Danny Dragonbreath and his friend Wendell get an up-close underwater tour of the Sargasso Sea from Danny&apos;s sea-serpent cousin, encountering giant squid and mako sharks--and learn about standing up to bullies in the process. Odo is the seventh son of the village miller and he just wants to get away from work for awhile, Eleanor&apos;s mother was a soldier, and she yearns for adventure, but it is Odo who finds the magic talking sword named Biter, and thereby instantly becomes a knight--and together they set out on a quest (somewhat reluctantly on Odo&apos;s part) to save their kingdom from threats both human and dragon. Everyone in Vallen knows that ice wolves and scorch dragons are sworn enemies who live deeply separate lives. So when twelve-year-old orphan Anders takes one elemental form and his twin, Rayna, takes another, he has to question whether he and his sister are even related. When Danny and Wendell find an injured bat at the neighborhood pool, they take it to Mexico where Danny&apos;s cousin, a bat specialist lives, but once there Danny is snatched up by a giant bat monster, and it is up to Wendell to save him. After the murder of her parents, a Nubian princess is helped to her rightful place on the throne by two friendly Egyptians and the dragon Hathor. Wendell the iguana&apos;s dreams are all nightmares and a Dream Wasp wants him as a host for her eggs--so, with Great-grandfather Dragonbreath&apos;s help, Danny the dragon and Suki the salamander enter Wendell&apos;s dreams to try and defeat the wasp.